Graveside services are scheduled for 10 a.m. Friday, Oct. 5, at South Park Cemetery in Roswell for Betty Maxine Hatch of Marion Landing in Ocala, Fla.
Hatch, 82, completed her walk of life Friday, May 25, 2018. Pastor Barry Anderson of Grace Community Church will officiate the services. The family invites you to gather with them at Bethel Baptist Church for a luncheon immediately following the services, with a presentation of pictures set to music. Betty was born Jan. 10, 1936, in Marlow, Okla., to William “Bill” Maraday and Emma Aline (Fanning) Lewis. On May 19, 1956, she married Donald W. Hatch in Lake Arthur. The couple lived in Artesia until January 1958, when they moved to Roswell. They lived there until March 2013, when they relocated to Ocala to be closer to family. 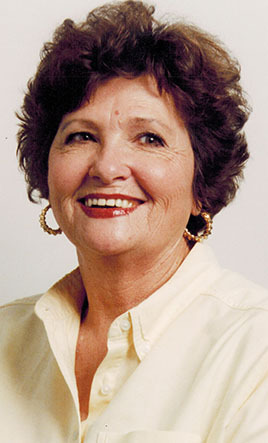 Betty worked as a bank teller, branch manager, real estate agent, and real estate office manager until finishing her career at ENMU-R as a division secretary, retiring in December 2001. Survivors include her husband, Donald Hatch; son Kenneth Wayne Hatch and wife Karen; daughter Susan Nanette Hatch Whittington of Ocala; grandson Cody W. Whittington and wife Kirsten of Roswell; granddaughters Krista and Kyra Hatch; great-grandson William Whittington; brothers-in-law Robert Hatch and wife Linda of Roswell, and Don Major of Artesia; and numerous nieces and nephews. She was preceded in death by her parents, Bill and Emma Lewis; infant daughter Donna Lynette Hatch; brother William James Lewis and wife Bessie Lee; sisters Wanda May Lewis and Bessie Aline Lewis Major; and son-in-law Cliff Whittington. Betty requested that, in lieu of flowers, memorial contributions be made to the New Mexico Baptist Children’s Home, nmbch.com. Arrangements are under the direction of LaGrone Funeral Chapel of Roswell. Condolences may be expressed online at www.lagronefuneralchapels.com.